Over the last 45 years, Charlie McCoy has played on thousands of sessions. The list of artists he has recorded with reads like a who's who of monumental artists and songwriters. This list includes: Elvis, Bob Dylan, Roy Orbison, Simon and Garfunkel, Ringo Starr, Johnny Cash, Waylon Jennings, Perry Como, Steve Miller Band, Patsy Cline, Carl Perkins, Peter, Paul & Mary, Loretta Lynn, Jerry Lee Lewis, Chet Atkins, Joan Baez, Eddy Arnold and hundreds of others. For 18 years Charlie was Musical Director for the TV show "Hee-Haw" and he has appeared as an artist on Music City Tonight, Nashville Now, The Mike Douglas Show, The Johnny Cash Show and numerous other TV shows and specials. He was also a member of two legendary Nashville bands, Area Code 615 and Barefoot Jerry. As a recording artist Charlie has released 32 albums and he tours internationally producing, recording and releasing records in several countries with great success. One of the most recorded harmonica players of all time, Charlie is known world wide. He's won a Grammy Award, two Country Music Association Awards and eight Academy of Country Music Awards. Besides the harmonica, he also plays guitar, bass guitar, keyboards, mallet percussion (vibes, marimba, bells, etc.) and percussion (tambourine, claves, shaker, cabasa, maracas, etc.). Charlie McCoy is an American musical treasure and one of the most talented musicians on the globe in any genre. 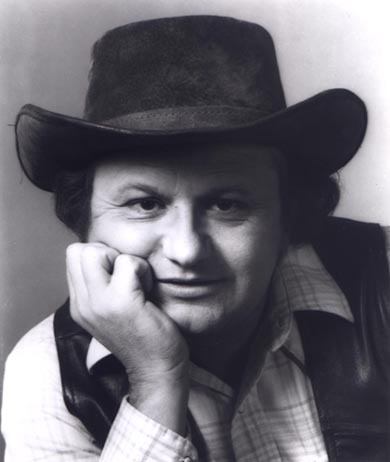 Meet Charlie McCoy and visit his web site at www.charliemccoy.com for more info. Bronson: What was your first major label session and who was the Artist and Producer? Bronson: Do you prefer playing in the studio, playing on TV, or performing live and why? Charlie McCoy: I like a balance of each. Bronson: You have recorded 31 albums as an artist, do you have a personal favorite? Bronson: Name 3 producers that you feel challenged you the most as a musician. Charlie McCoy: Paul Simon, Owen Bradley, Billy Sherrill. Bronson: You have always endorsed Hohner harmonicas. What makes them your top choice? Charlie McCoy: They are like an old friend. Bronson: Of the musicians that you haven't played with, who would be the three you would most like to work with. Charlie McCoy: Alison Kraus, Alan Jackson, Diana Krall. Bronson: What would be your advice to a musician new to Nashville, in regards to establishing themselves as a musician on Music Row? Charlie McCoy: Be sure you have a job to bring in income because the wait might be long.